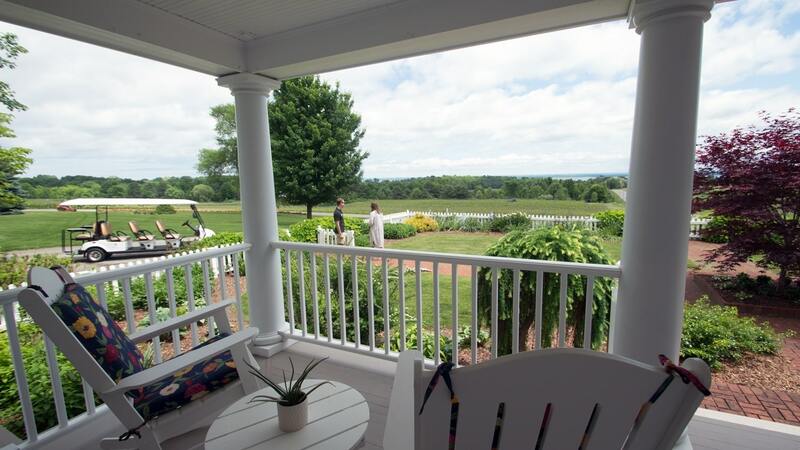 Climb aboard the Brys Estate wine wagon, cozy up under a blanket and explore the Old Mission Peninsula winery, including farmhouse gardens, vineyards and the Secret Garden. What is the wine wagon? The wine wagon is a seven-passenger shuttle. It’s clean, comfortable, and narrow enough to slip right between the vineyard rows. 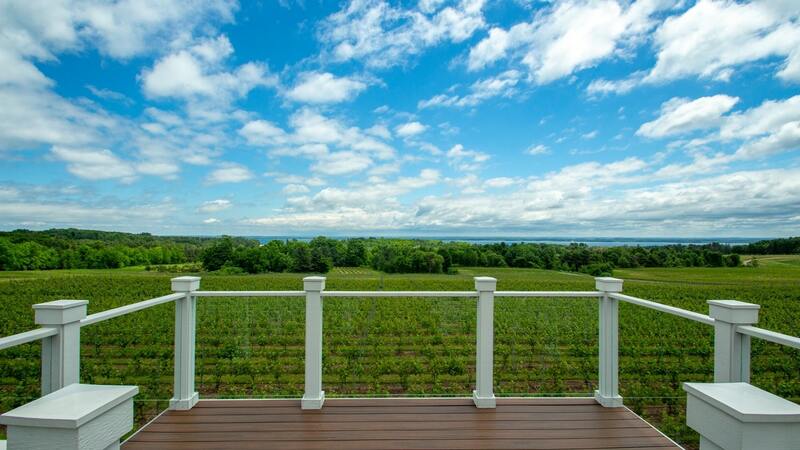 You can sit back and relax while you tour the 91-acre estate and enjoy five wine tastings. This electric-powered luxury cart will take you to all the best spots—you just have to be onboard. On the two-hour guided tour, you’ll enjoy five fun stops. Between wine tastings, your tour guide will share the history of the winery and you’ll learn about the grapes, growing practices, winemaking and more. After the tour, feel free to head inside the tasting room to try the other wines Brys Estate has to offer. 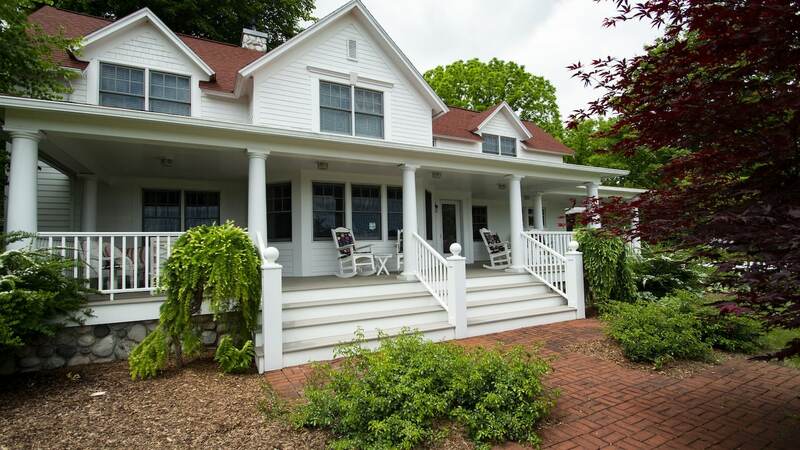 Tour the farmhouse gardens overlooking the vineyard and take in the beautiful view from the front porch. You’ll hear the story that led Walter and Eileen from Houston, Texas to Old Mission Peninsula and about their remodel of the 1800s farmhouse. Taste the 2016 Dry Riesling Reserve. 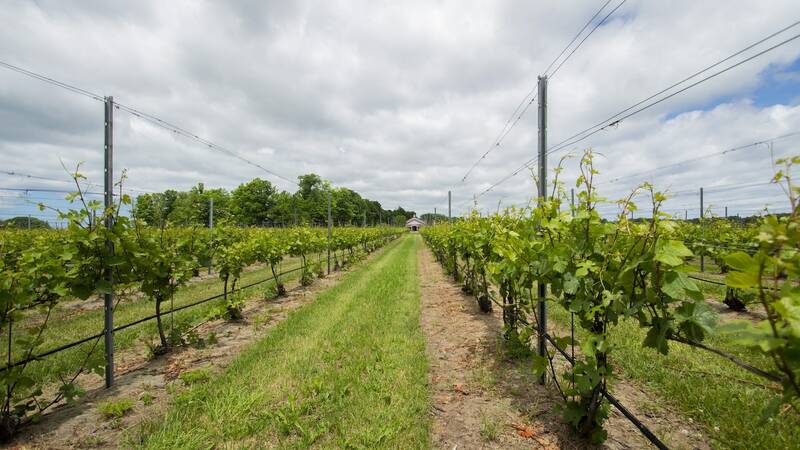 Learn about the once abandoned cherry farm that was transformed into a 45-acre vineyard. Taste the 2017 Gewürztraminer Reserve. Twelve acres of the estate wasn’t suitable for growing grapes, so Eileen and her two daughters created the Secret Garden in 2016. 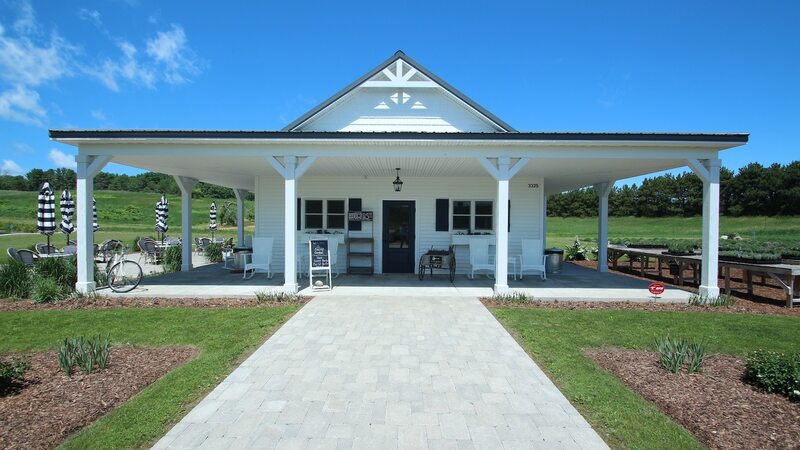 Now home to 6,000 lavender plants, strawberry and blueberry plants, a sunflower field, a gift shop and more, the Secret Garden is a darling stop among the vines. In the fall, you’ll also find colorful pumpkins and gourds available for purchase. Enjoy a light picnic at this stop, included in the tour price, while tasting the 2016 Pinot Noir Reserve then stroll the grounds and gift shop. The Wine Wagon heads deep into the vineyard to Cabernet Franc grapes ready for harvest. Taste the 2016 Cabernet Franc Reserve. Return to the winery for a tour of the production facility and to learn about small batch winemaking. Enjoy a special taste of one of Brys Estate’s unreleased, limited quantity Artisan Series wines. Finish the tour with spiked hot apple cider and a walk on the “Bridge Above the Vines,” a beautiful deck overlooking the vineyard. You can do that right here! The Wine Wagon costs $50 per person ($45 for wine club members). Gratuity not included. Tours are offered Saturdays from September 22–October 27 at 11 a.m., 1:30 p.m. and 4 p.m. Must be 21 or older. 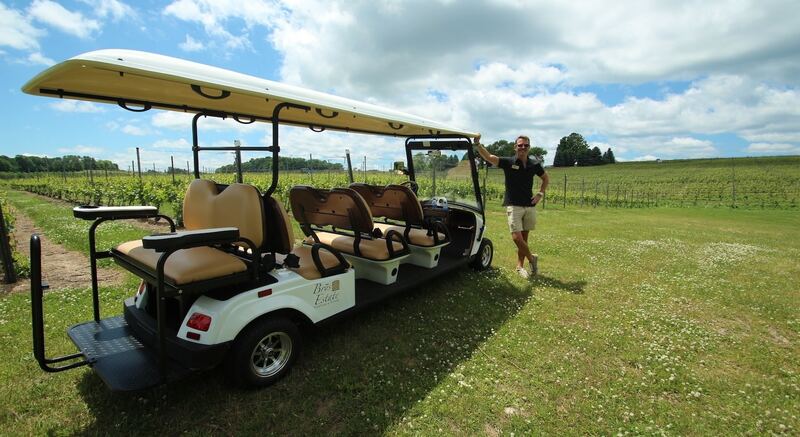 The Wine Wagon is also available for private tours by appointment for $350 ($300 for wine club members). If you are interested in booking a private tour, contact Brys Estate at 231.223.9303.